Poseidon is the dignified god of the sea, in charge of the power of water. In complete control of the oceans, he can turn the tide of any battle. 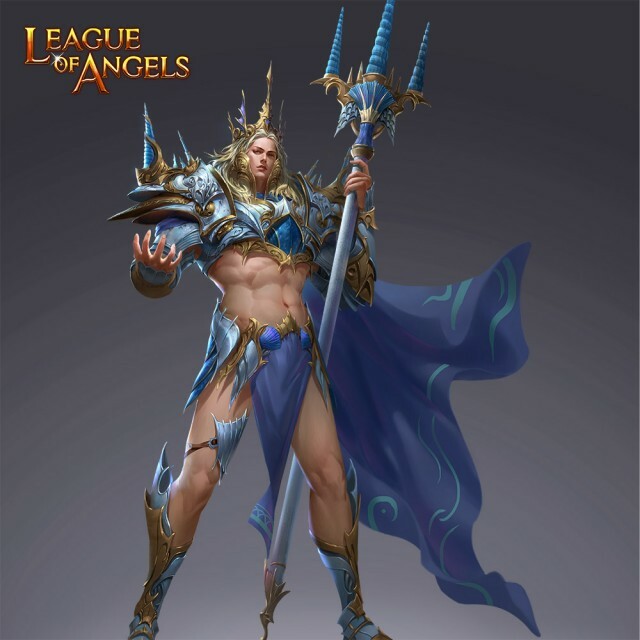 He has always been regarded as the Zeus of the sea because of his endless powers. Poseidon has been protecting creatures of the sea for ages now. When his protected creatures are in harm, he easily becomes angry and fills the sea with his tsunamis of anger. His trident is one of his major sources power and he is not afraid to use it to punish the forces of evil!